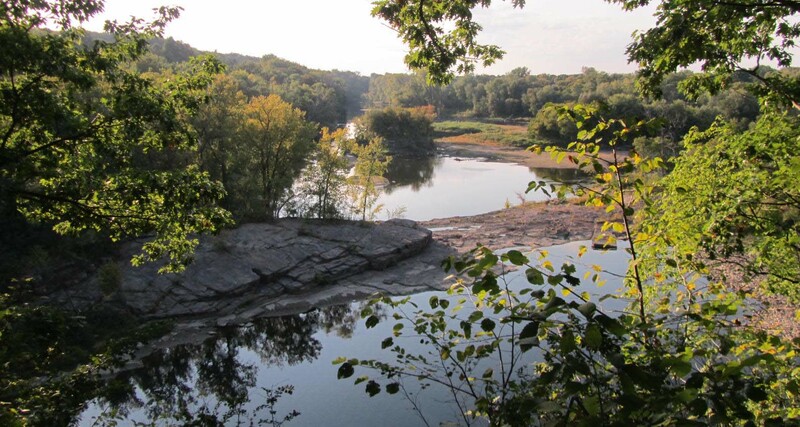 As a non-profit organization, the Winooski Valley Park District relies heavily upon community support and volunteers to maintain a high level of ecological and environmental quality at the parks. The assistance the Park District receives from dedicated volunteers supports the Park District’s ultimate mission of land preservation and maintenance for human and wildlife enjoyment. Contact the Park District or info@wvpd.org to learn more about our various volunteer opportunities. Please contact the Park District to set up a project or volunteer work day that best suits your group’s abilities and timing. Although most of the Park District’s projects are best suited for several individuals working together, couples or individuals can contribute on an independent level. During the winter, the Park District needs individuals familiar with the parks and trails to ski or snowshoe trails shortly after snowfall in order to track them for enthusiasts who may follow. With minimal direction from Park District staff, individuals interested in volunteering in the fall can rake leaves at the various parks. Spring and summer hikers can remove and properly dispose of trash from along trails. At any time of year, individuals with an interest in wildlife can use tracking keys to report wildlife signs to the Park District. Over the past several years, trained volunteers have been monitoring signs and tracks of wildlife at the parks. Tracking information helps identify sensitive habitat and guides us in the placement of trails and facilities. Similarly, birdwatchers can log bird counts as a part of the Park District’s wildlife surveying. Individual volunteers are welcome to put their personal knowledge to use for the benefit of the Park District with the individual activities listed above. Individual volunteers may work independently and on their own schedule. Please contact the Park District with suggestions for additional independent volunteering activities or with any questions regarding recommended activities. AmeriCorps volunteers have been an integral part of the WVPD’s staff since 2004. WVPD hosts an AmeriCorps Member through the Vermont Housing and Conservation Board to serve as Environmental Educator and Resource Specialist for an 11-month service term. Members have developed systems of mapping and tracking wildlife, assessed ecological diversity of parks, removed invasive plant species, and provide environmental education for local school groups and afterschool programs. 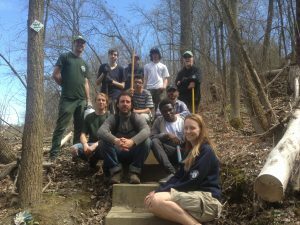 For more information regarding serving as an AmeriCorps member with the Winooski Valley Park District, please email the Park District or contact the VHCB AmeriCorps Program directly. The Park District traditionally has one AmeriCorps member per year. The Winooski Valley Park District invites students enrolled in area colleges and universities interested in natural resource-based internship opportunities. Trained and motivated students are always needed to help us inventory plant species, help with ecological management plans, track park usage, or assist with a range of other projects that are necessary for managing our parks. Please contact the Park District to learn more regarding internship or special project opportunities.